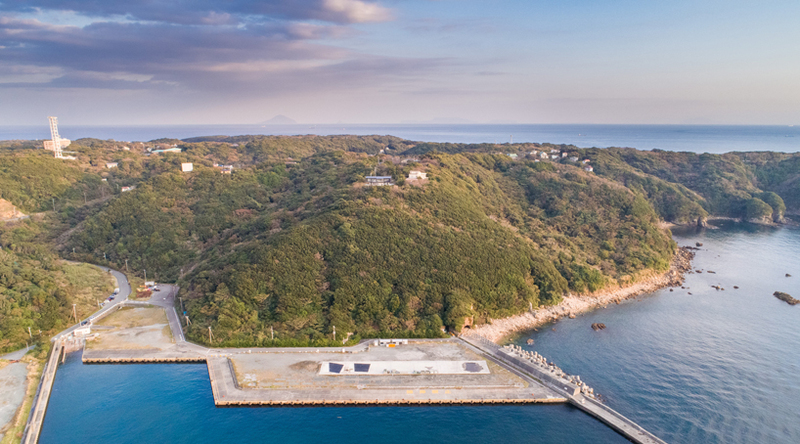 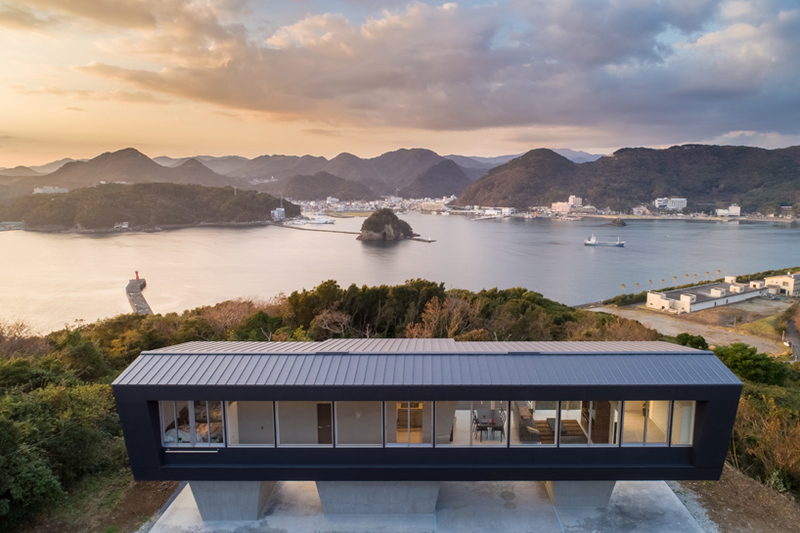 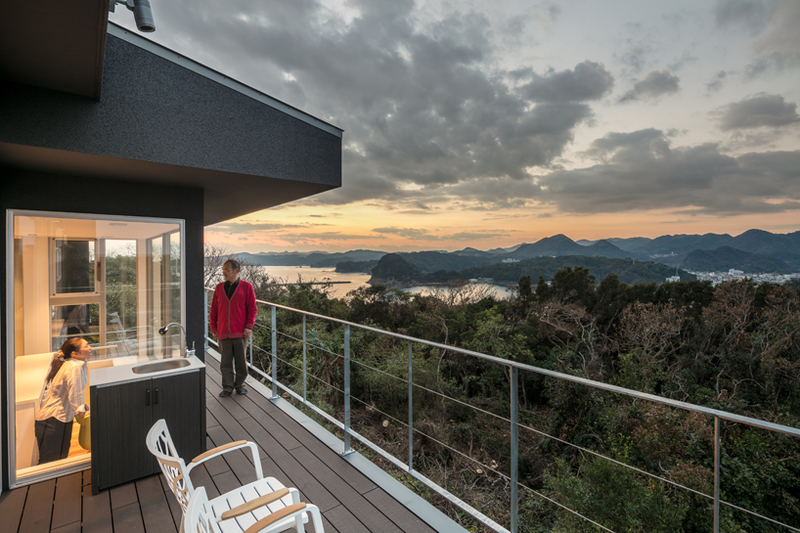 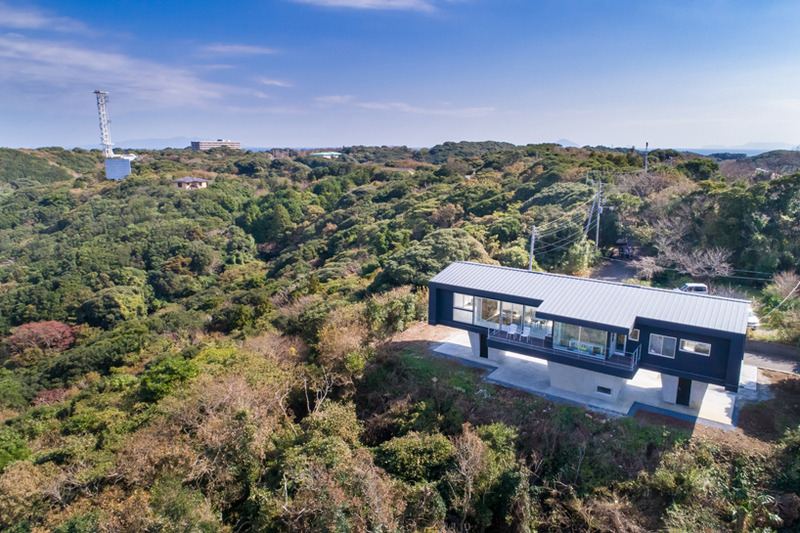 japanese hiraoka architects’ house in suzaki, izu peninsula, japan, is set on top of a hill with a beautiful view of the ocean and mountains. 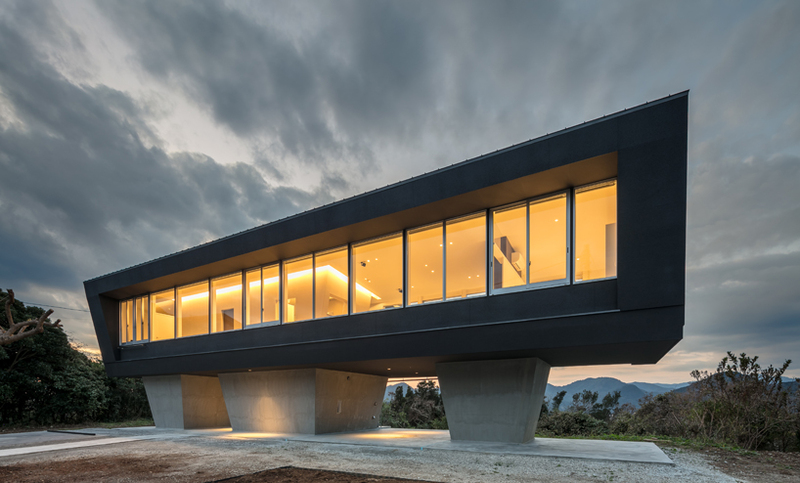 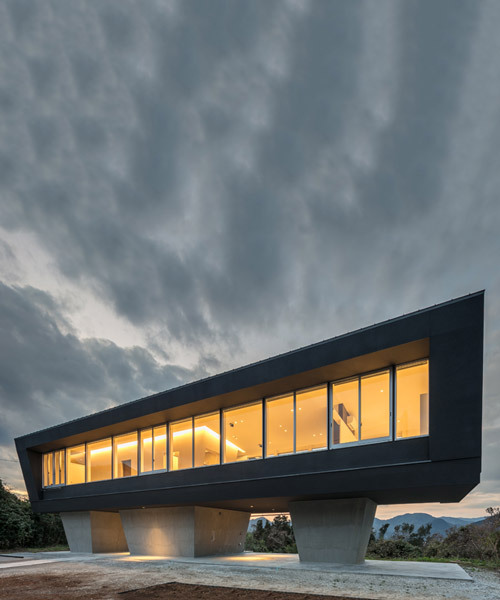 to make the view available for the inhabitants, the architects have suspended the transparent box — the living space — and put it on three functional concrete legs. 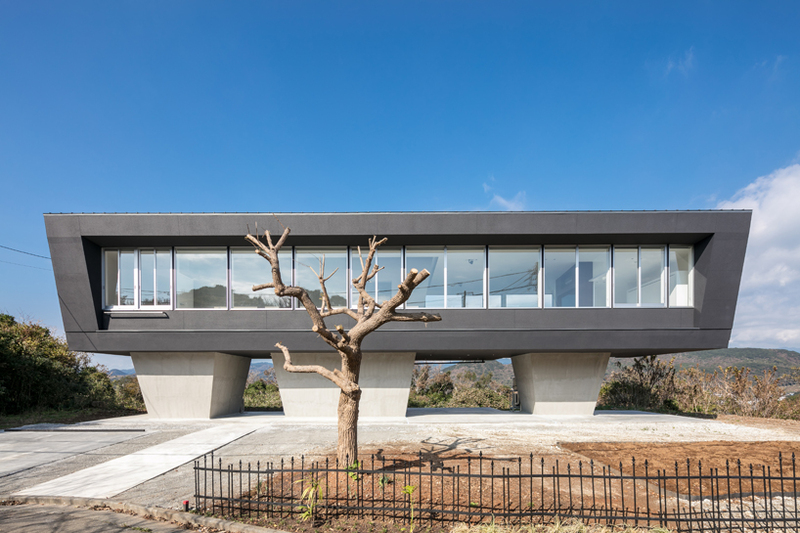 the concrete ‘boxes’ of hiraoka’s house serve as entrances, while one of them contains an office, from where it is possible to enjoy a different view. 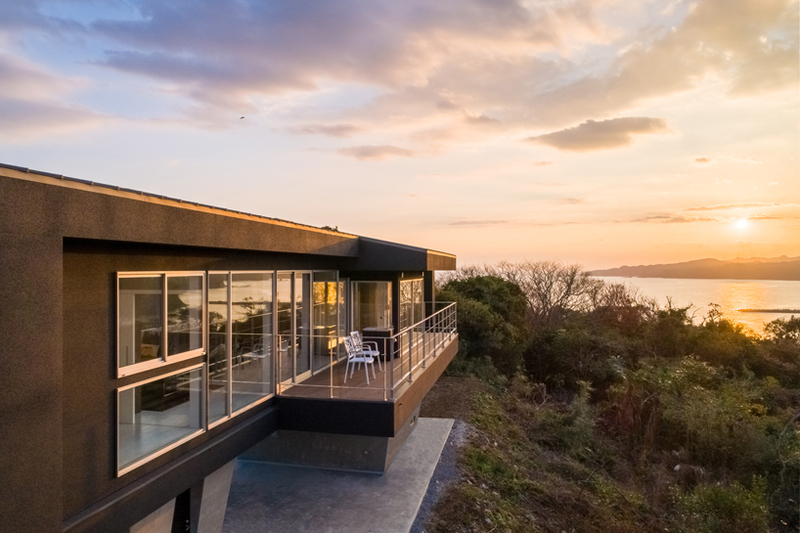 on the second floor, both southeast and northwest walls are glass-sided, providing a panoramic view of the rise and set of the sun as well as the change of seasons. 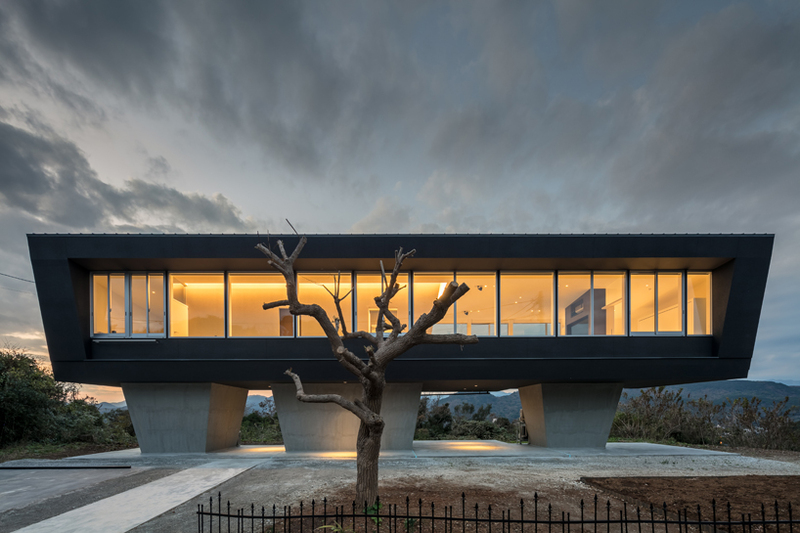 the private area of the house is located in the center, away from the windows at both sides, ensuring that essential facilities for the living would not obstruct the great view. 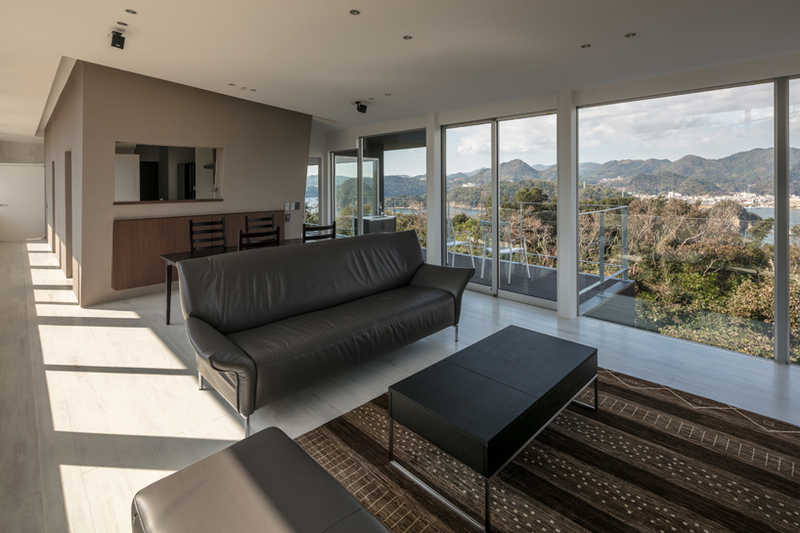 different views can be seen depending on where you are in the house, and the view would shift as time passes by.